I love Anthropologie. I really do. But I can’t afford it. Like save up for a year can’t afford it. That’s okay though because Pinterest has come to the rescue!!! With a plethora of knock-offs to search through you can get the look of Anthro without breaking the bank. In trying to be a grown up (got married, graduated, moved, got a job, etc etc…) I decided my hot pink cups from my freshman year weren’t going to cut it anymore. I don’t want anything fancy or expensive that I’m afraid I’m going to break. Here comes the knock-off part. 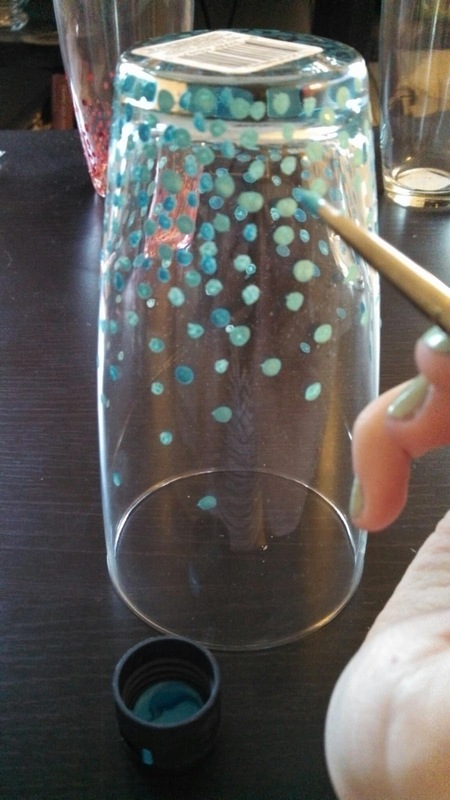 I got my inspiration from the Anthropology glasses and from this gal’s blog. These are Dollar Tree glasses folks. No need to go to a fancy-dancey store to buy these. (Unless you just want to). 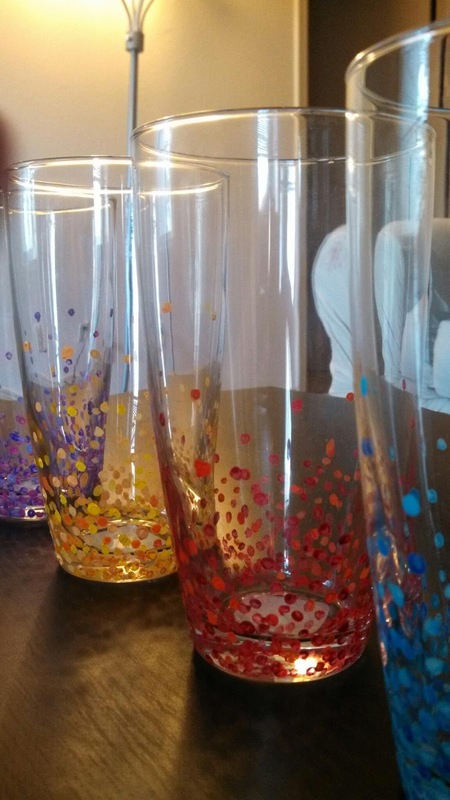 I chose four different color groupings to paint my glasses with. I enjoy variety and with spring coming/occasionally here I chose brighter colors. I used heavy body acrylic paint as well as just the regular acrylic paint you can buy in smaller containers at the craft store. However cute these are, the paint isn’t going to last forever. If you seal it with an acrylic sealer from Hobby Lobby it should last a while longer. Just don’t put it in the dishwasher!!! !